Description/Historical Information: Sherwood Foresters (Nottinghamshire & Derbyshire Regiment). 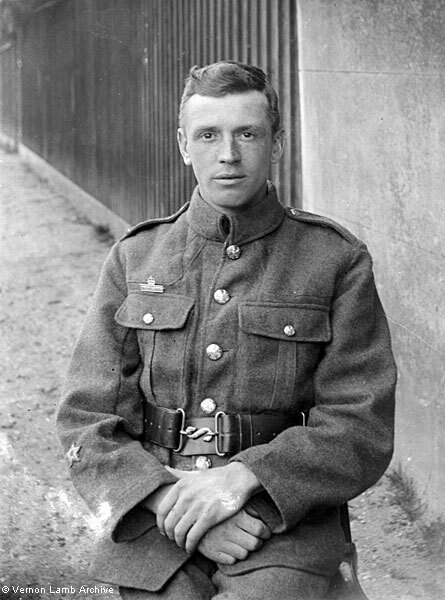 The identity of this soldier is not yet known, but he has the Territorial Force Imperial Service Badge pinned above the right breast pocket. The location is not known, but the same fence is shown in VLA9769 and VLA9774.